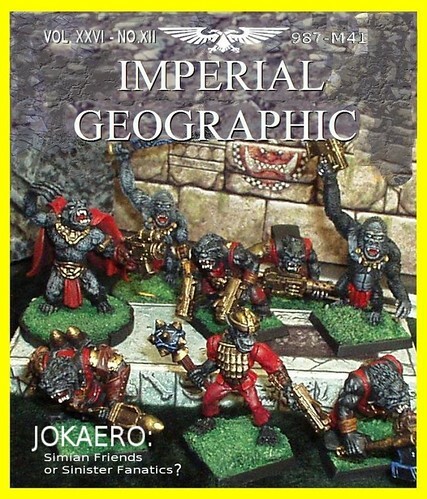 the new 40k race MONKEY PEOPLE!!! that is definately an army i would play. lol. nice work. Jokaero are hardly new, just little-known. Clever buggers, too - they&#39;re animalistic, but can improvize technology to shame anyone; for example, they could field-strip a lascannon into a titan-killing blaster, but would have no idea how they did it later. Exactly, they make Vulcan mega bolters out of rings, but dont realise they did it, plus jokaero have been around since the beginning of 1st edition.